Honda is committed to protecting and respecting your privacy. This Privacy Notice tells you how Honda Motor Europe Limited (“Honda”, “we”, “us”) processes your personal data when you visit a dealership, visit our Honda websites, download and use our apps, or contact Honda in relation to your Honda product, (all "Honda Contact"). This Privacy Notice also describes your personal data protection rights, including a right to object to some of the processing that Honda carries out. More information about your rights, and how to exercise them, is set out in the Your Choices and Rights section. Contact information: such as your name, address, phone, email, and other similar information. Information to create a user profile: such as your username, password or PIN. Vehicle information: such as your Vehicle Identification Number (VIN) and date of purchase. Product information: such as your product id and date and location of purchase. Financial information: such as your bank account number, sort code and billing address. Details regarding your connection to the Honda Websites or Honda apps: such as your operating system; your browser type (for visits to our website); details of the device you are using (e.g. your device serial number, unique identification number and MAC address); and your approximate geographic location of connection (to the nearest city). Details of your visit to the Honda Websites or Honda apps: such as your time of visit; your connection length and your use of Honda Websites or Honda apps (e.g. items that you click on and requests that you make). Any other information you submit to us in connection with Honda Websites or Honda apps: such as signatures, photographs, opinions and your location. Where necessary for Honda’s legitimate interests, as listed below, and where our interests are not overridden by your data protection rights. o to respond to your online requests or enquiries, for example by sending you a brochure, locating your nearest Honda dealership, booking you a test drive, or arranging a service for your Honda vehicle or product. Further information in relation to Honda’s legitimate business interest, and how we balance our interest against the privacy rights of our customers, can be provided upon request. Honda will also convert personal data into anonymous data and use it (normally on an aggregated statistical basis) for e.g. market research and analysis, to improve the Honda Websites or Honda apps, to analyse trends and to assess the success of advertising campaigns. Aggregated personal information does not personally identify you or any other use of the Honda Websites or Honda apps. Data analysis techniques are used to understand your online journey and ownership history to provide a more seamless experience online and offline with your interactions with Honda. If you wish to object to this processing please refer to Your Choices and Rights section. o To access information stored on your device to understand your interests and to improve your customer experience e.g. by providing you with tailored content and offers which align with your personal interests. o To provide you with direct marketing including our “Engine Room Newsletter” and other information about, or offers relating to, Honda products and services which may be of interest to you by post, telephone, SMS, email and push notification. o Where you provide your consent to receive direct marketing, we will always offer you the opportunity to withdraw your consent and to unsubscribe from our Newsletters. Where necessary to perform any contract Honda has with you. o For example, to facilitate online payments and to deliver products and services. Where necessary to protect Honda’s legitimate interests and legal rights, and where our interests are not overridden by your data protection rights. 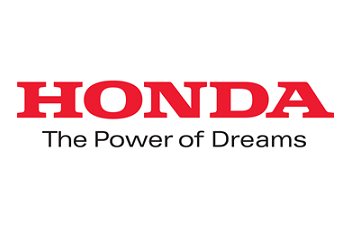 (i) Honda Finance Europe PLC (HFE): HFE provides financing options for Honda customers in the UK. HFE is a company incorporated in England. (ii) Honda Motor Co., Ltd. (HM): HM, our parent company, receives information on product recalls and product liability claims. HM is a company incorporated in Japan. For the purposes mentioned above, your personal data will be processed in, or accessed from, Japan. When transfer your data to HM in Japan, we make use of standard contractual data protection clauses, which have been approved by the European Commission. We share your personal data with Honda authorised dealers and repairers in the UK. For example, where you have made an online request for a test drive or a product service, we will ask your local Honda dealer to contact you to arrange the test drive or service at a convenient time. Your personal data will be shared with companies providing services under contract to the Honda group of companies. A list of categories of service providers is set out below. Further to the above purposes, we will transfer your personal data to organisations outside of the EEA. When doing do, we may use standard contractual data protection clauses, which have been approved by the European Commission. We may also transfer your data to organisations in the US who participate in the EU-US Privacy Shield or which have corporate rules in place to protect your data, which have been approved by EU data protection authorities. For further information, including to obtain a copy of the documents used to protect your information, please contact us as described in the Contact Us section below. Transfers to third parties if we are under a duty to disclose your personal data in order to comply with a legal obligation or if we consider this is necessary for us to protect the rights, property or safety of Honda, our customers or others. Transfers to government authorities and/or law enforcement officials if mandated by law or if required for the protection of our legitimate interests in compliance with applicable laws. o Transfers to prospective or actual buyers in the event that Honda, or any part of the Honda Group, sells any of its business or assets which includes personal data. You have the right to ask Honda for a copy of your personal data; to correct, delete or restrict processing of your personal data; and to obtain the personal data you provide in a structured, machine readable format. You can object to the processing of your personal data in some circumstances (in particular, where we don’t have to process the data to meet a contractual or other legal requirement). Where we have asked for your consent, you may withdraw consent at any time. If you ask to withdraw your consent to Honda processing your data, this will not affect any processing which has already taken place at that time. These rights may be limited, for example if fulfilling your request would reveal personal data about another person, or if you ask us to delete information which we are required by law or have compelling legitimate interests to keep. Honda will give you the opportunity to opt-in (consent) to having your contact details used for direct marketing purposes at the time we ask you to submit your details. By calling us on 0345 200 8000. You also have the right to complain to a supervisory authority for data protection. The supervisory authority could be in the place where you live, or where you work, or where a breach of data protection obligations has occurred. We will retain your personal data only for as long as we need it for Honda's legitimate interest in accordance with applicable law, or perform a service at your request, or to meet a legal requirement. At the end of the retention period, we will take steps to delete your personal data or hold it in a form that no longer identifies you. Our Website may, from time to time, contain links to and from the websites of our partner networks, advertisers and Group companies. Honda is not responsible for the content of any websites that are linked to its site. When entering a third party site or downloading a third party app, it is your responsibility to ensure that you read the privacy notice and legal terms & conditions that apply to that site or app. This Privacy Notice may be updated periodically. We will update the date at the top of this Privacy Notice accordingly and encourage you to check for changes to this Privacy Notice, which will be available on the Honda Online Content. On some occasions, we may also actively advise you of specific data handling activities or significant changes to this Privacy Notice, as required by applicable law. Honda Motor Europe Limited (company number 857969, Cain Road, Bracknell, Berkshire, England, RG12 1HL) is the data controller of Honda customer and prospect personal data, processed further to this Privacy Notice. In the UK, Honda Motor Europe Limited trades as Honda (UK), whose address is Cain Road, Bracknell, Berkshire, England, RG12 1HL. Our data protection manager for Honda operations in the UK can be contacted at DPM-UK@honda-eu.com. If you have any questions about this Privacy Notice, please contact us at Honda (UK).